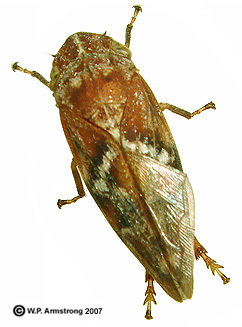 The leaf hoppers (Cicadellidae) includes many species of small jumping insects that superficially resemble miniature cicadas. They are abundant on the leaves of plants, but because of the remarkable camouflage of some species, they are not easily seen. On a warm summer night in southern California, they are commonly attracted to lights. 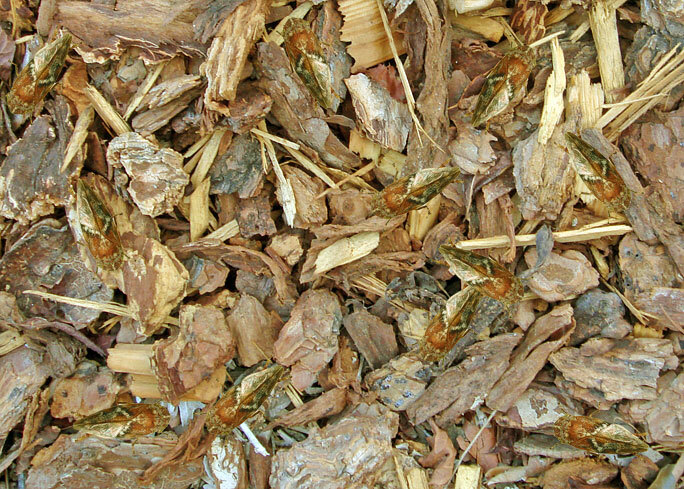 How many leafhoppers can you spot in this image? Click on the photograph to see the exact number.